This site is owned and run by the Joanne (Joe) Bingley Memorial Foundation, a not for profit organisation, awaiting charity status. 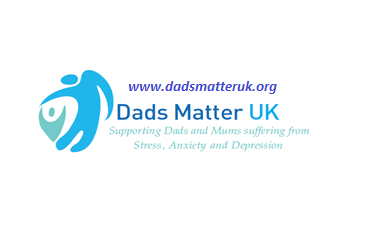 We work to raise awareness of Postnatal Depression (PND), inform and educate people about PND and de-stigmatise PND. We do this by stimulating open discussion and promoting change. The medical information published on this site is designed to support, not replace, the relationship that exists between you and your GP or medical advisor and does not constitute medical advice. Always consult a suitably qualified doctor on any specific medical problem or matter. We hope that by providing this information, you will gain a better understanding of mental health issues. Information published on this site has not been written by medically qualified individuals, unless otherwise stated. Any medical information should therefore be treated with care. Any nutritional information is intended as a guide only. Some foods may cause allergic reactions. If you have any dietary concerns or feel you may be anxious, depressed or experiencing any other mental health problem, you should consult your GP or medical advisor. We do not accept responsibility for the content of the sites we link to. We do not sponsor, endorse or otherwise approve of any information or statements appearing in a linked site (nor in sites referred to in or linked to a linked site) and we are not responsible if a linked site is not working properly. It is your responsibility to enter into and comply with any software or other licences required to access or use any linked sites and any material they contain or link to. In relation to personal information on this site, we comply with the requirements of the UK’s Data Protection Act 1988 governing the obtaining, use, retention, security and transfer of personal information. However, we cannot accept responsibility for the use of personal information once transferred or on linked sites. (ii) where any of the copyright items on this site are republished or copied to others, the source of the material being identified and the copyright status being acknowledged. The permission to reproduce Joanne (Joe) Bingley Memorial Foundation protected materials does not extend to any material on this site which is identified as being the copyright of a third party. Authorisation to reproduce such material must be obtained from the copyright holders. We do not accept advertising as such but are happy to publish information from other organisations or from individuals, where we consider this to be appropriate. When we publish information from third parties, we always make it clear the source of this information. We do not charge for this service.